“Playing the Board Game” Nonprofit Board Workshop. A program for arts and culture board leaders and their teams. 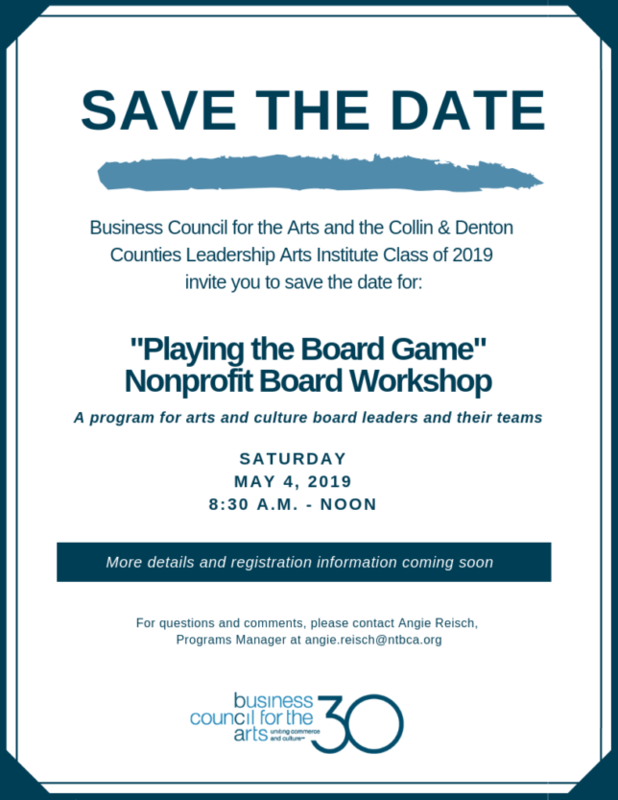 Sponsored by the Business Council for the Arts and the Collin & Denton Counties Leadership Institute Class of 2019. For details, contact Angie Reisch, program manager at angie.reisch@ntbca.org.